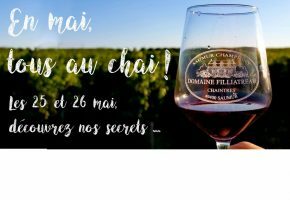 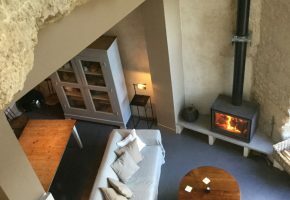 Domaine Filliatreau is having a ‘portes ouvertes’ on Saturday May 25th and Sunday May 26th. 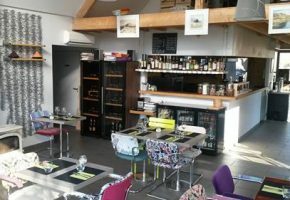 Pop in to taste good quality Saumur Champigny wines and I’m sure much more. 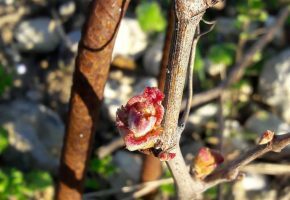 What’s been going on in the vineyards in March? 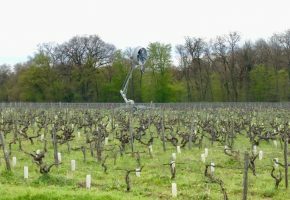 Growers are rushing to get pruning finished as buds are already bursting. 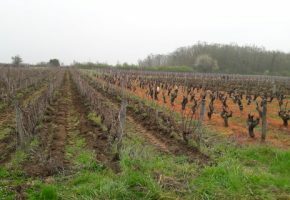 Young vines were at the wooly bud stage about 10 days ago. 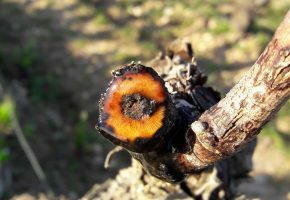 What’s been going on in the vineyards in February? 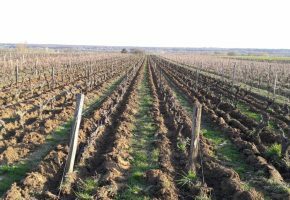 Unprecedented temperatures in the Loire valley this past two weeks have had growers pruning in their shorts and dreading an early budburst. 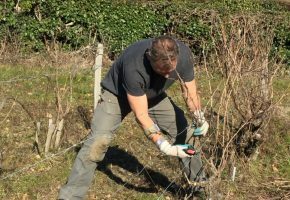 The older generation can’t remember a February when the temperatures have been this high for so long. 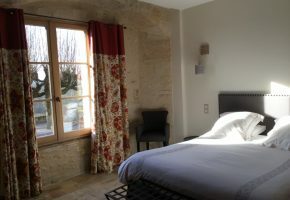 Amboise is a delightful market town perched alongside the river Loire. 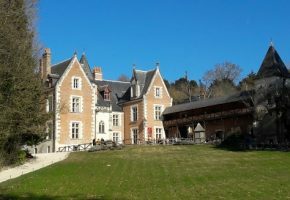 Leonardo da Vinci spent the last 4 years of his life living at the Clos de Lucé. 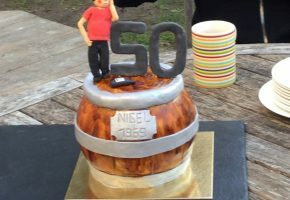 I wanted to make Nigel a special cake for his 50th birthday this week but with 10 people to feed this weekend I decided to have one made by Cake Passion.